In related news, GHOUL will headline Tankcrimes Takeover this weekend. 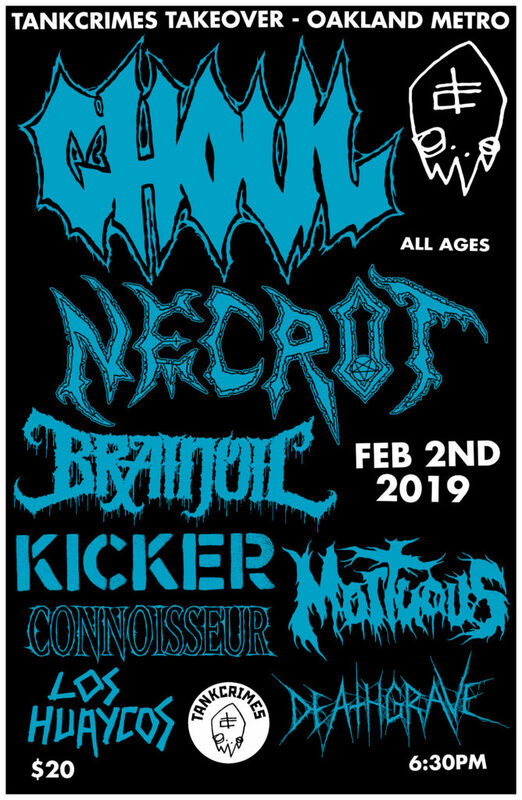 Set to take place at The Oakland Metro February 2nd, the all-ages event will find the band playing alongside their labelmates Necrot, Brainoil, Kicker, Mortuous, Connoisseur, Los Huaycos, and Deathgrave. GHOUL’s Dungeon Bastards is out now on CD and digital formats. 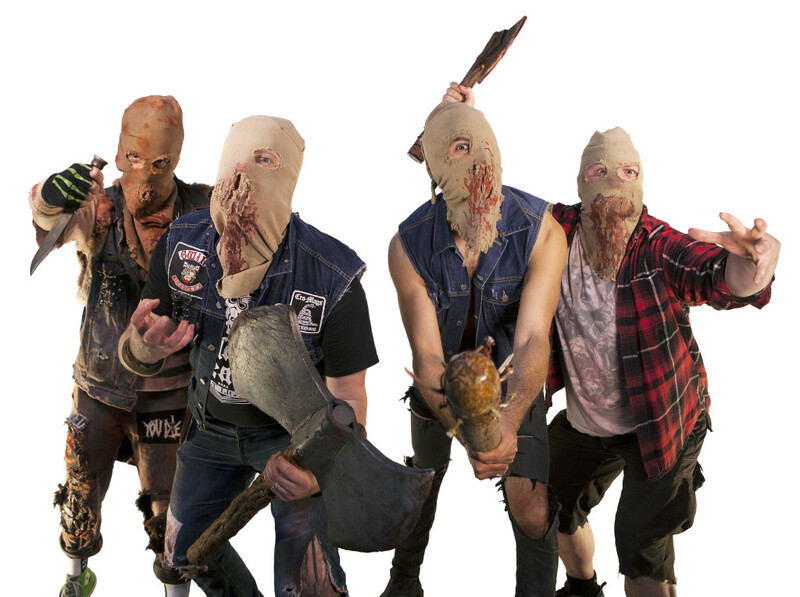 Tankcrimes recently repressed the LP edition (now available limited-edition splatter or blue vinyl) which includes a gatefold jacket that opens into the Dungeon Bastards board game. Players take turns advancing through a Creepsylvanian map; the first one to get to end of the map and jump the Wall Of Death wins. CD orders are available HERE, vinyl HERE, and digital HERE where the record can be streamed in full.